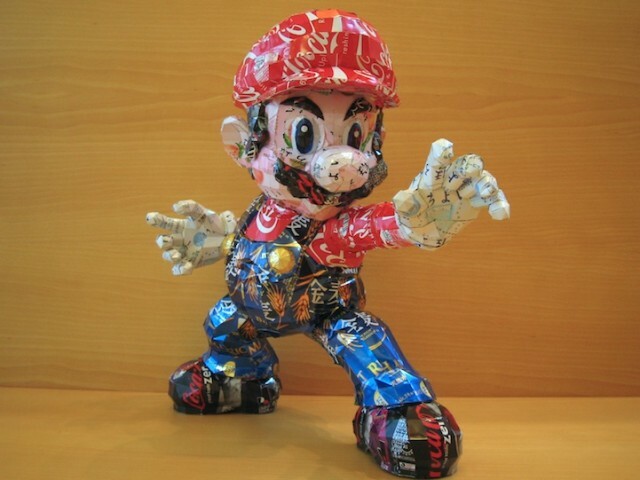 Previously we have come across paintings and artwork made of plastic junk, everyday household items and even bacteria. 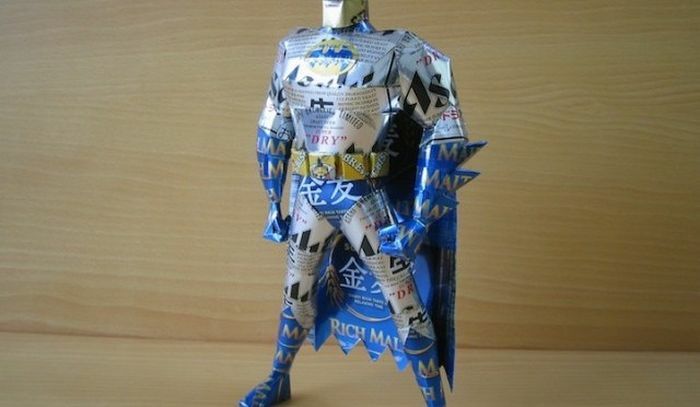 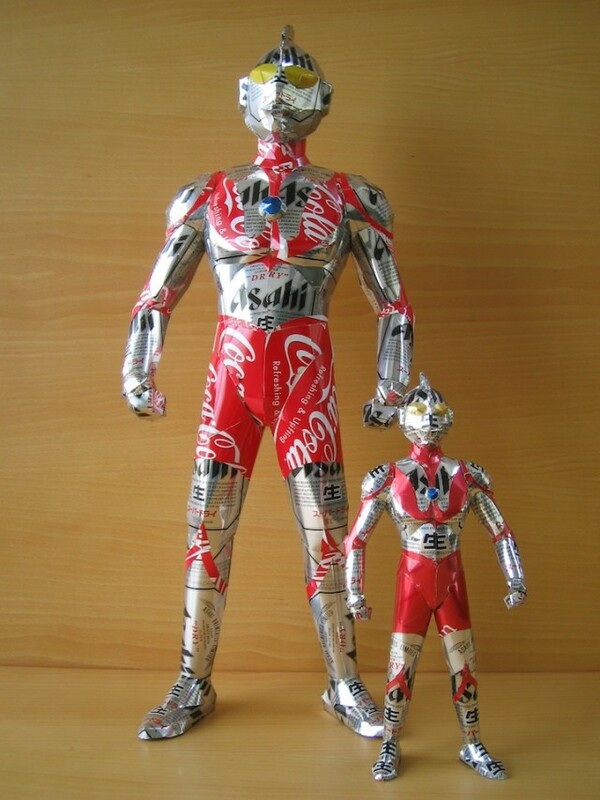 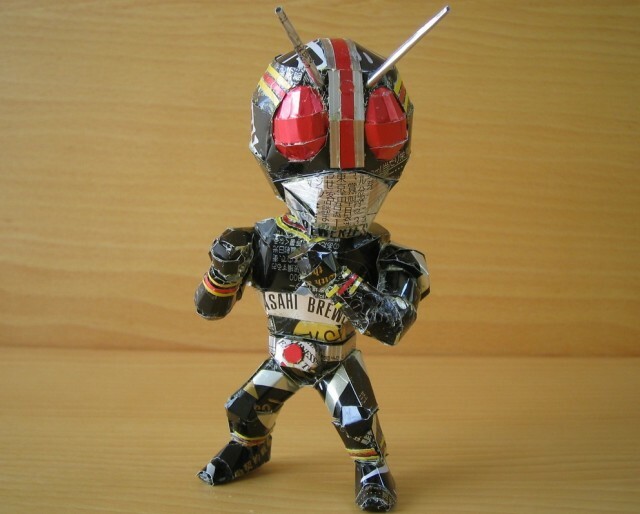 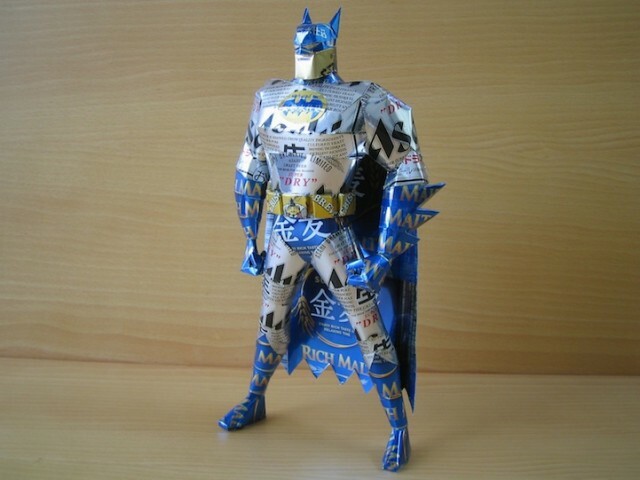 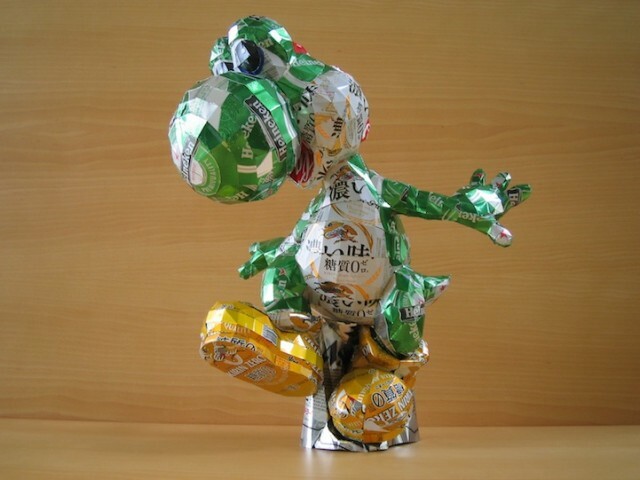 The expertise of Japanese artist Makaon, however, lies in crafting miniature sculptures of popular superheroes, robots and other cartoon characters, using recycled soda and beer cans. 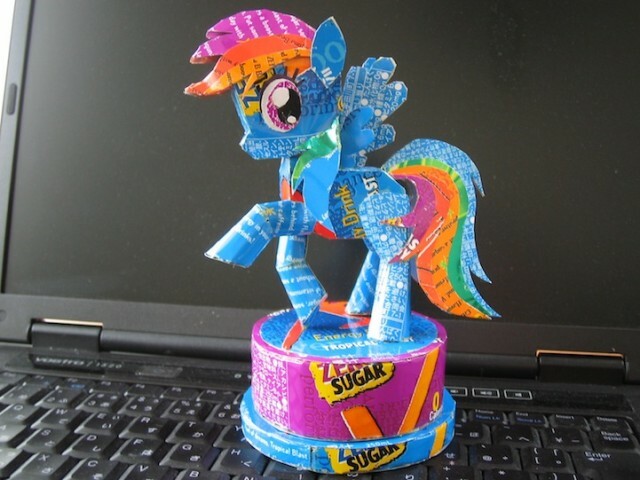 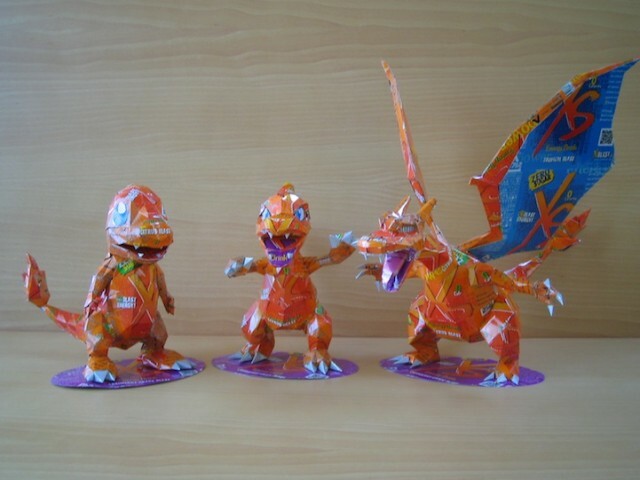 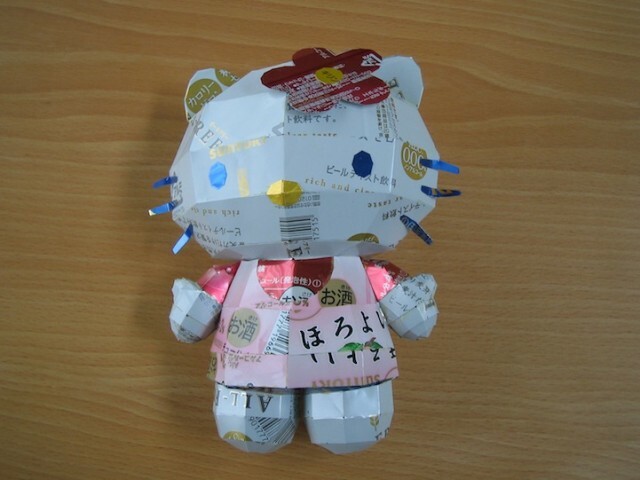 The artist utilizes the various techniques and patterns employed in the traditional Japanese art of paper-folding, called Origami. 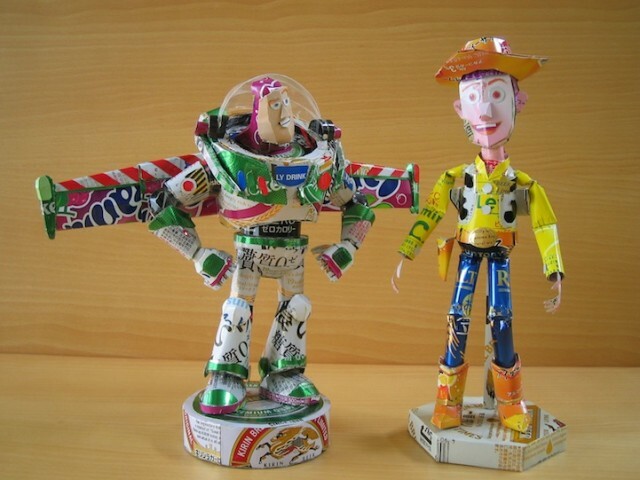 His collection consists of minutely-detailed sculptures of cartoon characters, superheroes, animals and robots, from pop culture, including Batman, Mario, Woody, Buzz Lightyear and others. 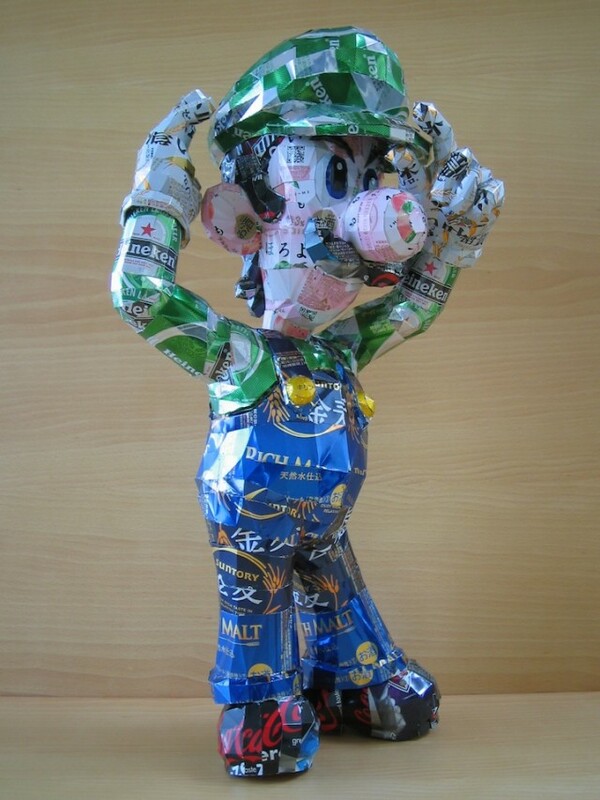 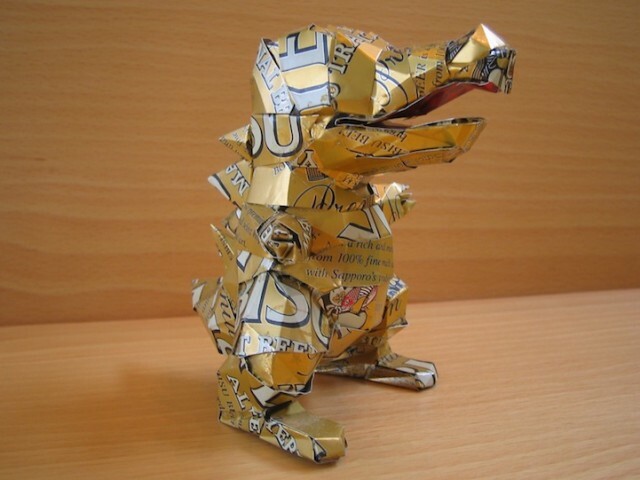 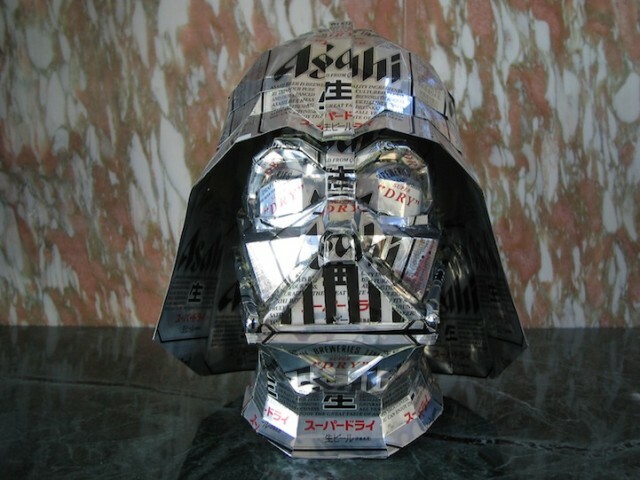 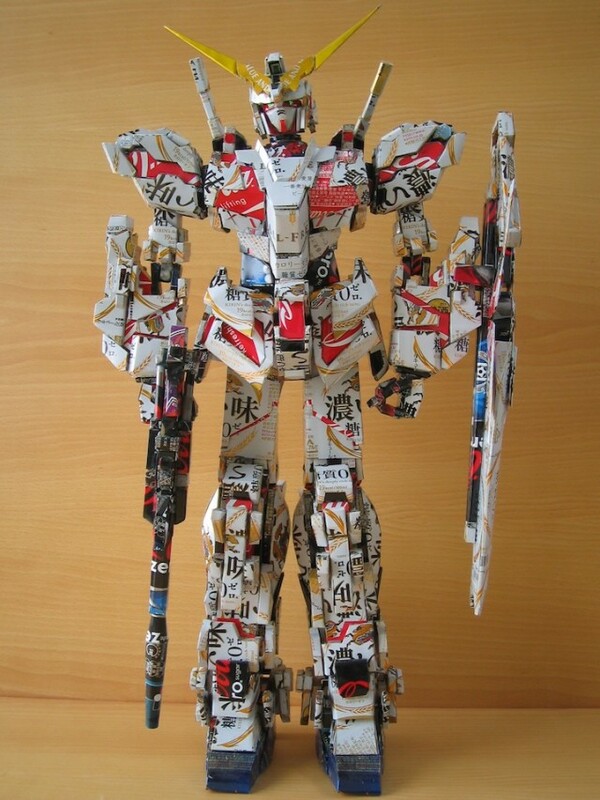 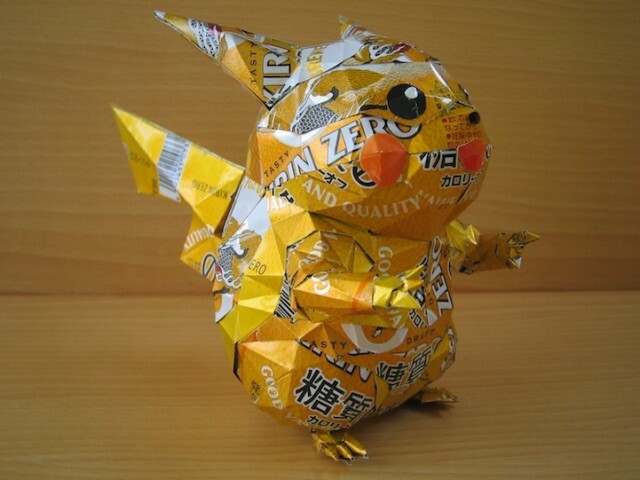 Among the raw materials used are recycled cans of Coco-Cola, Coke Zero and Suntory, a popular beer brand in Japan. 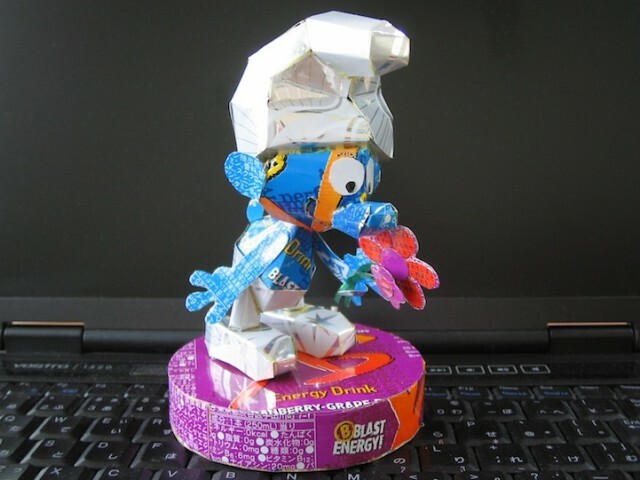 Scroll down for more pictures of Makaon’s creations.